This sauce is the mother of all sauces and the back bone of many dishes. 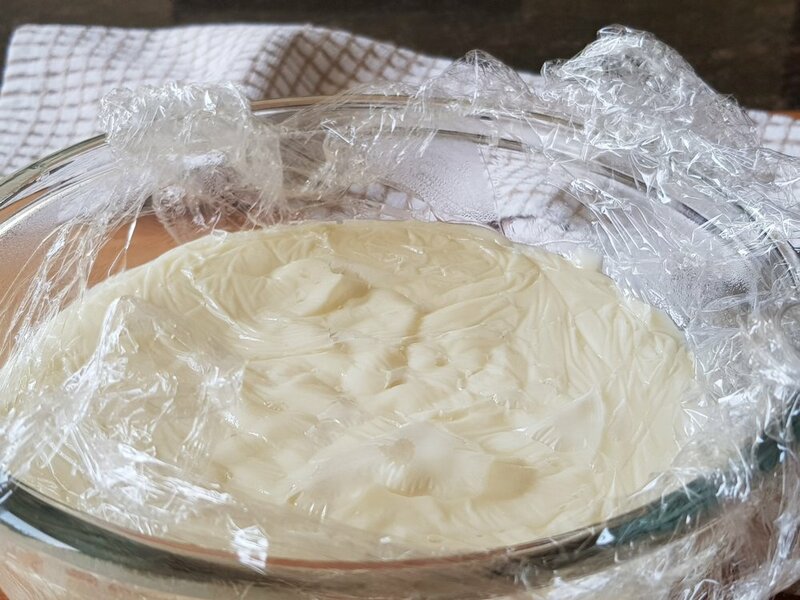 It is attributed to the French and is basically butter and flour which form a white roux for thickening sauces mixed with milk to create a silky, smooth and creamy texture. I first learnt how to make this when I was fourteen during one of my home economics classes at school. What a pity this important class has been removed from most curricula now. 1. Never allow the roux to turn brown as it will ruin the subtle flavour of the sauce. 2. Warm the milk before adding it to the roux and when doing so remove the roux from the heat source. 3. Never stop stirring or you will end up with a lumpy sauce. 1. Pour the milk into a saucepan and bring to boil then remove from heat. 2. 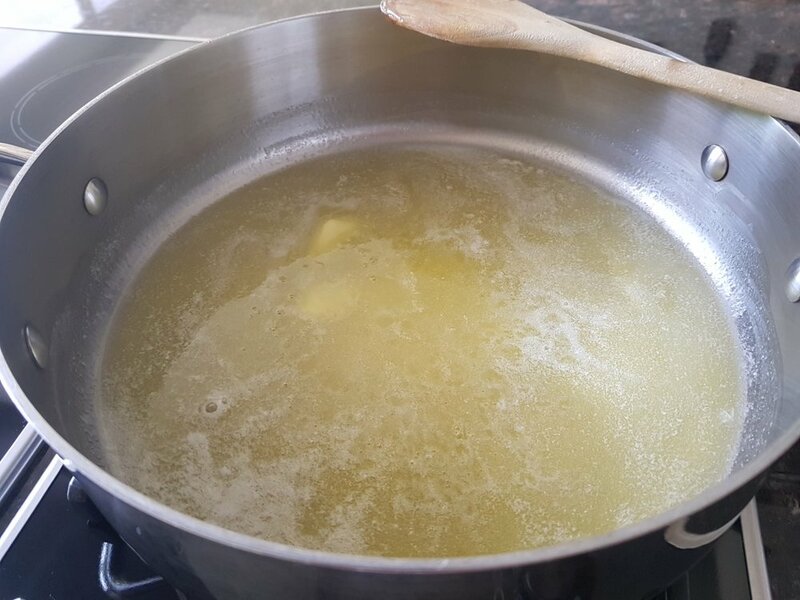 In a heavy wide saucepan melt the butter completely over medium heat then add the flour and stir for 2 minutes until the roux bubbles but does not change color. 3. 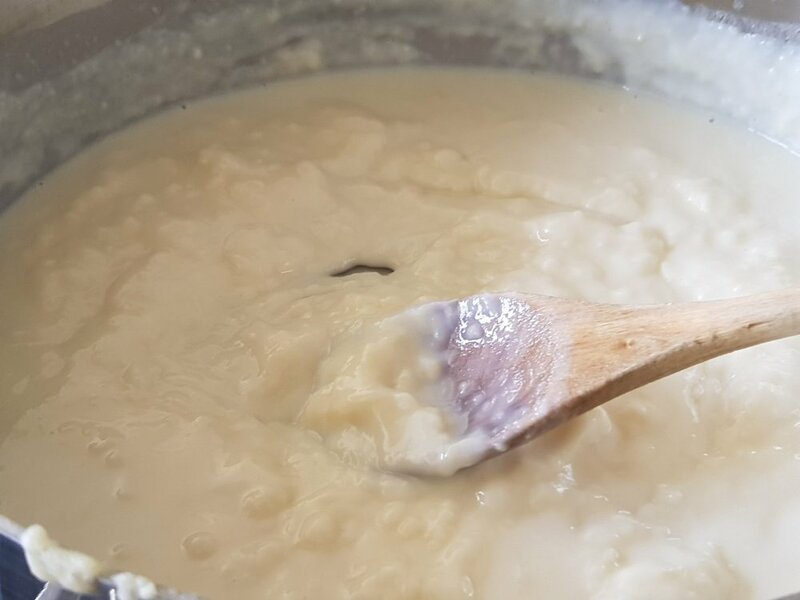 Pull the saucepan off the fire and add 1/4 cup of milk at a time stirring the mixture until it is incorporated, repeating the process until you have finished half of the milk. At this point return the saucepan to the fire and incorporate the remainder of the milk. 4. Keep stirring until it reaches the boil for 3 minutes then season. The sauce is ready when you run your index finger down the back of a wooden spoon and the sauce holds its position, as seen in the picture. * You can use a wooden spoon to stir but I prefer a handheld whisk. * If the mixture has lumps simply run it through a sieve or use a hand held blender in the sauce. * If the recipe requires a thicker béchamel just let it cook longer until it thickens more. * If you will not use it immediately place in an airtight container making sure the plastic wrap is touching the surface of the sauce. * For a rich mac ’n cheese just add a generous amount of cheddar cheese to the sauce and toss with the cooked macaroni. Per Serving : 1231 Calories; 90g Fat (65.5% calories from fat); 19g Protein; 88g Carbohydrate; 3g Dietary Fiber; 252mg Cholesterol; 948mg Sodium.